SAN JOSE, CA (ANS – December 9, 2016) — In a remarkable video, a 13-year-old girl’s fingers fly over the piano keys. She’s playing Chopin’s Étude Op. 10, No. 5, full of joy. It seems from the expressive playing she’s lived a life along the same cheerful theme. But the girl is Anni Zhang, daughter of imprisoned Chinese dissident Zhang Lin. Faced with a future of no education and life in a Chinese state-run orphanage, Anni endured inhumane treatment by the Chinese government before fleeing to America, leaving behind language and family alike. Today, Reggie Littlejohn, president of Women’s Rights Without Frontiers (http://www.womensrightswithoutfrontiers.org/), and her husband Robert, are raising Anni as their own daughter. In February, Anni’s video was chosen as winner of an international competition for a chance to perform in New York’s Carnegie Hall later this month. Incredibly, Anni achieved such recognition despite the fact that she had only been playing piano for two years when she competed. “I never thought I would make it to Carnegie Hall, but with help from my American parents (Reggie Littlejohn and her husband, Robert), my teacher (Matt Wang), and God, I made it,” she said. Click here to listen to Anni’s competition video, Chopin Etude Op. 10, No. 5. And “made it” she has, in more ways than one, for according to Chinese law, Anni should not only have stayed in China, but she never should have lived at all. A story posted on Women’s Rights Without Frontiers website days that Anni was born the second daughter in her family in violation of the One Child (now Two Child) Policy, meaning Anni’s family had to endure persecution to keep their daughter. Family Planning Police came daily to pressure Anni’s mother to abort her. Anni’s father was able to get permission for Anni’s birth only after a long and difficult struggle. “Although Anni’s parents never thought of aborting her, countless others in her generation have succumbed to forced abortion in China under such circumstances. Anni could easily have been one of the 400 million lives ‘prevented’ by China’s One (now Two) Child Policy of coercive population control. Or she could have been selectively aborted because she is a girl, as happens to so many second daughters in China,” the story stated. “Anni was dubbed ‘China’s youngest prisoner of conscience’ when, in retaliation for her father’s work protesting the Communist Party, she was kidnapped out of school and detained overnight, enduring hours without food, water or a toilet. She was ten years old at the time. In 2013, Zhang Lin asked Reggie Littlejohn to help him get Anni out of China because she could not lead a normal life there. Littlejohn and her husband felt God was calling them to open their home and welcome Anni into their family, becoming her American parents. Anni and her older sister Ruli arrived in America in 2013 with help from many sources including U.S. Rep. Chris Smith, Jing Zhang, president of Women’s Rights in China, and brave activists in China, several of whom suffered lengthy detentions and even torture. But such sacrifices have not been in vain. Today, Anni has thrown herself into the study of English, of which she had no previous knowledge, and is a straight-A student. Anni says she owes thanks to God for winning the international competition. Zhang Lin was released from prison on September 9, 2016 and has applied several times to the Chinese government for a passport. Each time, his application has been denied, even though he told the authorities that he urgently needs a passport to come to the United States to see his daughter perform at Carnegie Hall. Note: Reggie Littlejohn is Founder and President of Women’s Rights Without Frontiers (http://www.womensrightswithoutfrontiers.org/), an international coalition to expose and oppose forced abortion, gendercide and sexual slavery in China. Reggie received the National Pro-Life Recognition Award at the 40th “March for Life” in Washington, DC on January 25, 2013. She was also the keynote speaker for the 2013 March for Life Canada in Ottawa, and for the 2013 National Right to Life Convention in Dallas. An acclaimed international expert on China’s One Child Policy, Reggie has testified six times at the United States Congress, three times at the European Parliament, and she has presented at the British, Irish and Canadian Parliaments as well. Her first address at the European Parliament redefined the debate about China’s One Child Policy, revealing it to be systematic, state-sponsored violence against women. This address was included as a chapter in the book, Human Rights in China After the Olympic Games, (Human Rights Without Frontiers, 2009), available on www.Amazon.com. 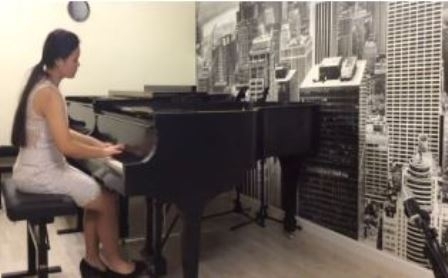 Photo captions: 1) Anni playing on her competition video, Chopin Etude Op. 10, No. 5. 2) Reggie Littlejohn and Anni on a family vacation in Yosemite. 3) Anni with her father, Zhang Lin, before he was detained in China for advocating for her right to go to school. 4) Reggie Littlejohn at a Capitol Hill Press Conference, with 200,000 signatures on petitions to end forced abortion and gendercide in China. 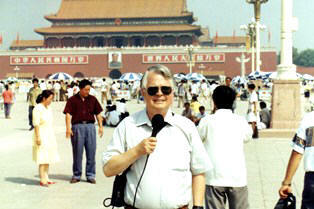 5) Dan Wooding reporting for ANS from Tiananmen Square, Beijing, China. The picture was taken after he had just flown out of North Korea where he spent a week reporting for the UPI Radio Network in Washington, DC. 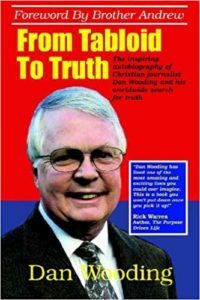 About the writer: Dan Wooding, 75, is an award-winning author, broadcaster and journalist who was born in Nigeria of British missionary parents, and is now living in Southern California with his wife Norma, to whom he has been married for more than 53 years. They have two sons, Andrew and Peter, and six grandchildren who all live in the UK. He is the author of some 45 books and has two TV programs and one radio show in Southern California. Dan has been to China on many occasions, and is co-author of the best-selling book, “God’s Smuggler to China” (with Brother David and Sara Bruce). ** You may republish this or any of our ANS stories with attribution to the ASSIST News Service (www.assistnews.net). Please tell your friends and colleagues that they can receive a complimentary subscription to our news service by going to the ANS website (see above) and signing up there.